Since September, we have been very fortunate to have Laura Galicier interning with us in the Artifact Lab. 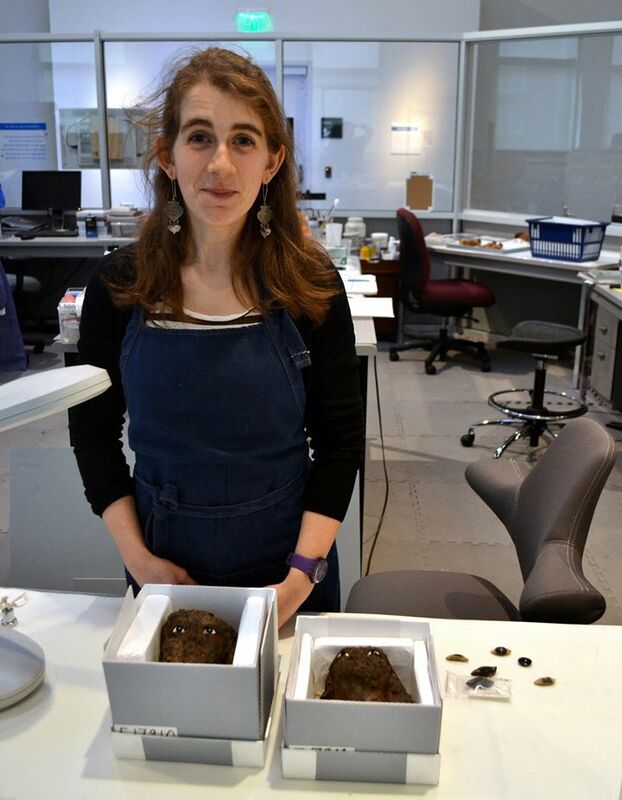 Laura is a graduate student studying conservation at the University of Paris Pantheon-Sorbonne, and spent her time here working on the conservation of several objects, two of which (the wooden heads) are the basis for her dissertation. Laura will soon graduate with her degree in conservation, and will embark on the next phase of her career as a conservator. Although Laura’s final day in the lab was last week, have no fear – you haven’t heard the last from her. She has at least 1 more blog post to contribute, which will be available soon. Congratulations, Laura! Félicitations! We will miss you. And these guys want to know, when will we see you again?? 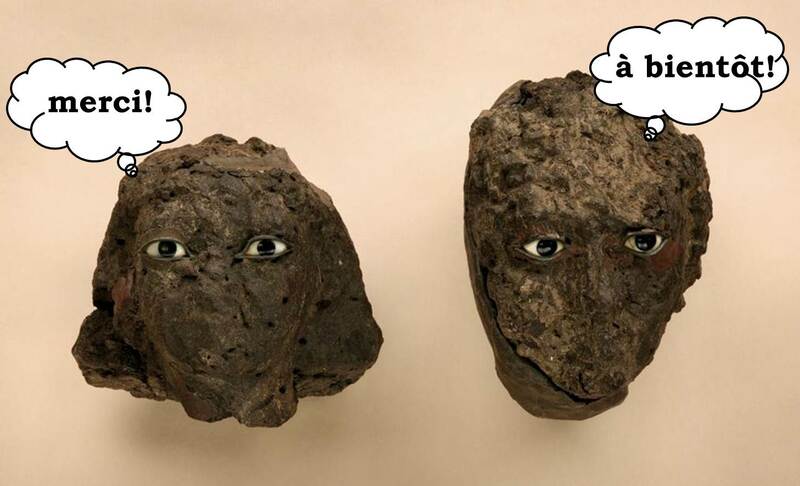 If you’ve been following the Artifact Lab blog you are now familiar with the two Egyptian wooden heads and the work in progress on them. Those heads are complex since they are composed of several materials that the conservator has to understand to treat them. So let’s explore an important but now almost lost of their aspects: polychromy. Indeed, 99% of the colors on the heads are lost but some remains allow us to figure out what colors were originally theirs. 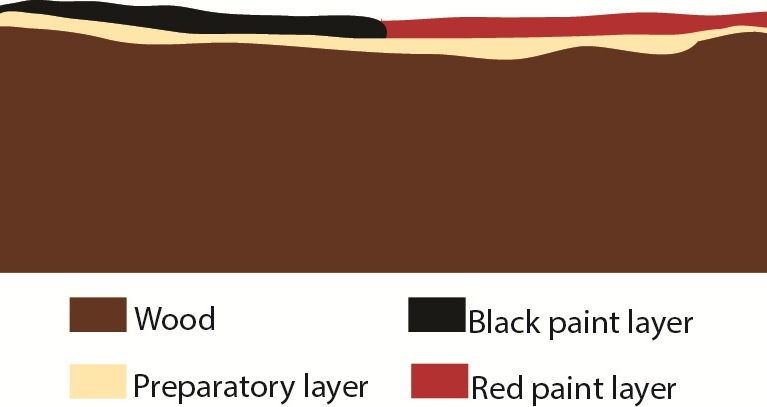 Mapping of E17910 red paint layer. E17911 – On the left: detail of black paint on the the wig located on the right of the head (x 10 magnification) ; On the right: Detail of red paint on the left ear (x 10 magnification). E17910 – Detail of the red paint above and under left eye and red paint below the right eye (x 10 magnification). The wig is black (even if it looks blue on the picture !). The red is ochre, produced by reducing iron oxides to powder. All Egyptian statues (and generally statues from other ancient civilizations) were completely painted. 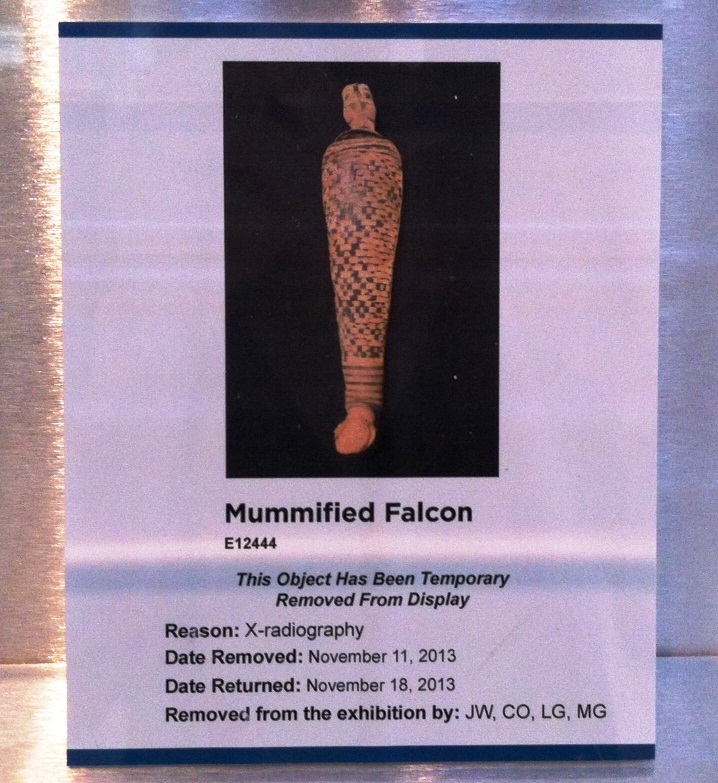 Only a few of them had their polychromy preserved, and it is especially rare on wooden artifacts because of many alteration factors that damaged these objects. The two heads were buried in a grave, several feet underground and the groundwater could rise very irregularly and completely overflow the tomb and its contents. The wood suffers a lot from humidity changes: indeed, this material always tries to keep its own moisture content stable, according to the environment moisture. That involves cycles of giving off and taking moisture; if those cycles occur too many times, the wood can’t follow and breaks generally appear. If the wood is covered with a polychromy layer, it falls off since it can’t follow the movements of the wood. The wood is also susceptible to damage by other substances, like different types of salts and other alkaline substances whose action is increased by humidity. That’s what explains that on the heads, the few areas of color left are in a bad condition; let’s try to explain what’s going on under the sediment! The wood is covered with a preparatory layer; it allows the surface to be even so that the paint layer can stick better to it. That’s it about the theory, let’s see what we have in reality: A lot less pretty and legible ! We can’t say whether the preparatory layer exists or not, and the paint is covered with a modern application of paraffin wax that wasn’t applied correctly on the wood; indeed the white material that covers some areas of the surface and of the polychromy is a paraffin deposit. White paraffin deposits on the paint and the wood. E17911 – The paint layer is poorly attached to the surface and termites didn’t spare it. The paint layer is poorly attached to the wood and the paraffin used to strengthen the heads in the field (during the 19th century) is the only thing maintaining them. While we are grateful that there is still some polychromy remaining…paraffin isn’t such a good thing ! It will be the topic of a next post to come. 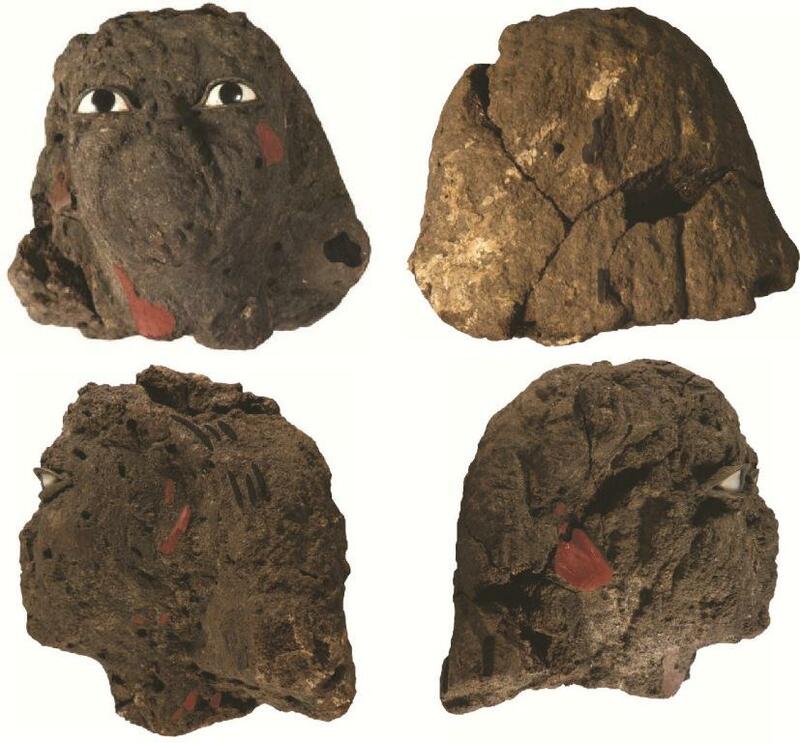 In a previous post, we told you that the two wooden heads were going to be X-rayed and CT-scanned, alongside with some other artifacts from the Lab. In this post we will deal with what we learned about the wooden heads’ eyes from the X-radiographs only. A lot of our readers will probably know what X-rays are, for they may have experienced them in a hospital. 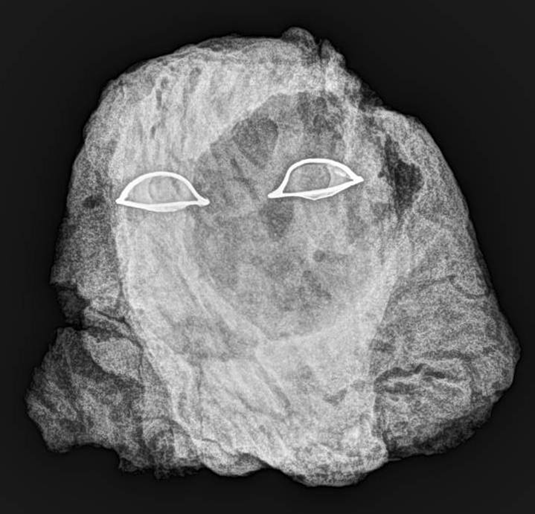 X-rays are also successfully used in Art and Archaeology (for a general overview and some examples, see SCHREINER et al, “X-rays in Art and Archaeology – An overview). The principle of the X-ray is to expose a material to x-ray energy of a particular wavelength. According to the molecular weight of the material, the x-rays will, or won’t, be allowed to go completely through it. The energy that does penetrate passes through to a detector. 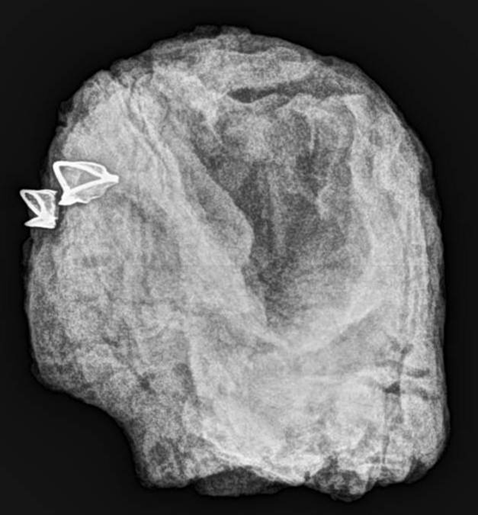 In digital radiography, the data is then processed by a computer and, eventually, we obtain a picture where dense (high molecular weight) materials appear white and lighter ones (low molecular weight) are black. 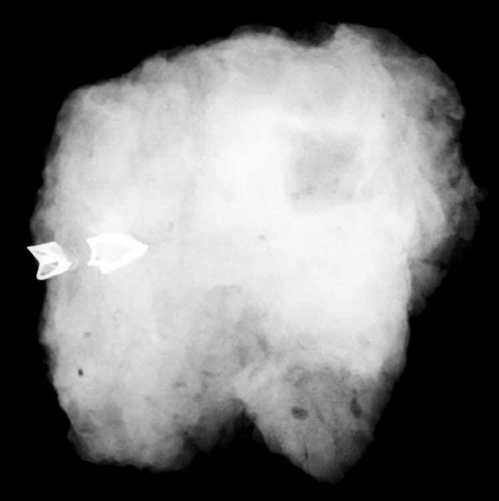 X-ray photograph of E17911 – We can see a lot of termite tunnels and the big hole inside the head, on the right-hand side, and the shining eyes. E17911, in profile – This picture allows us to see more clearly the structure of the eyes. 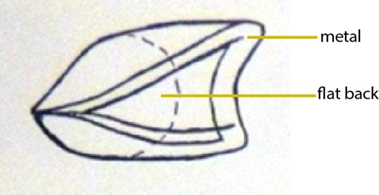 E17910 – Also helpful about the inserting of the eyes. In these radiographs, we clearly see the structure of the inlaid eyes. In fact, those eyes are quite similar to those studied at the Louvre Museum on Kay’s statue (ZIEGLER, Les statues égyptiennes de l’Ancien Empire, Musée du Louvre, 1997, p.256). This statue is from the Vth Dynasty, not so far in time from our heads. Eventually, we can conclude that the eyes are made of a metallic sheet soldered in the back, which is flat. 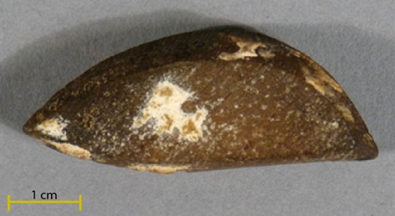 It is shell-shaped and the hippo ivory is inserted inside. 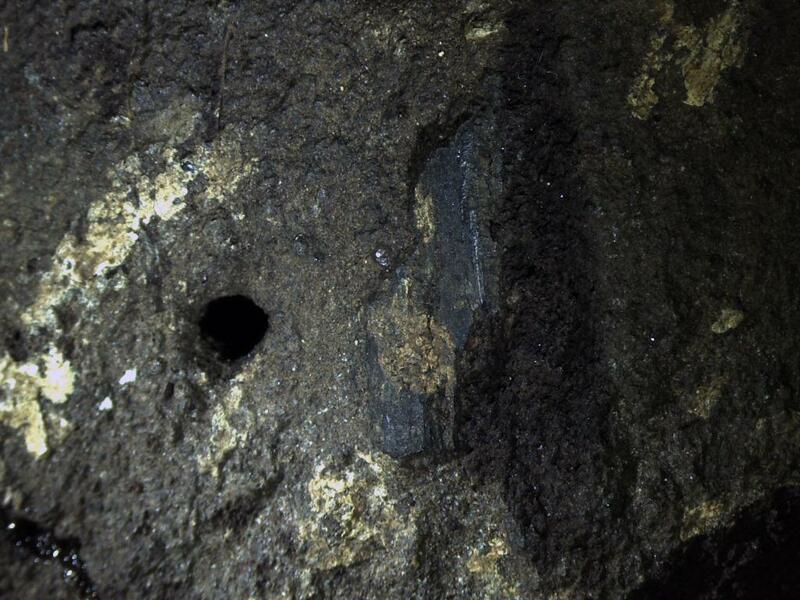 Then the black pupils (made of obsidian?) are placed in the ivory, maintained inside by an adhesive (resin ? plaster ?). 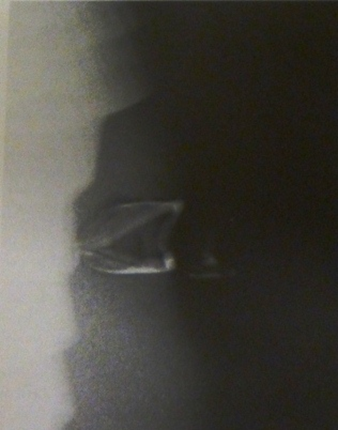 X-ray radiography photograph of Kay’s statue eyes (from ZIEGLER, 1997, p.256). 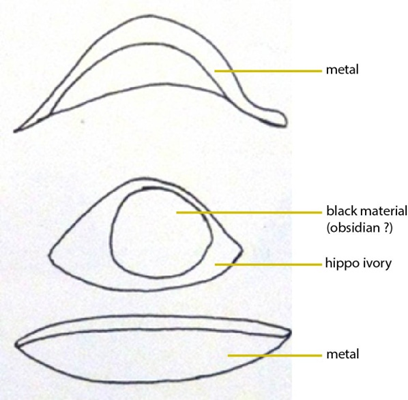 Structure of Kay’s eyes (from ZIEGLER, 1997, p.259); the back of the metallic part is flat and the edges were folded so as to form the eyelids. 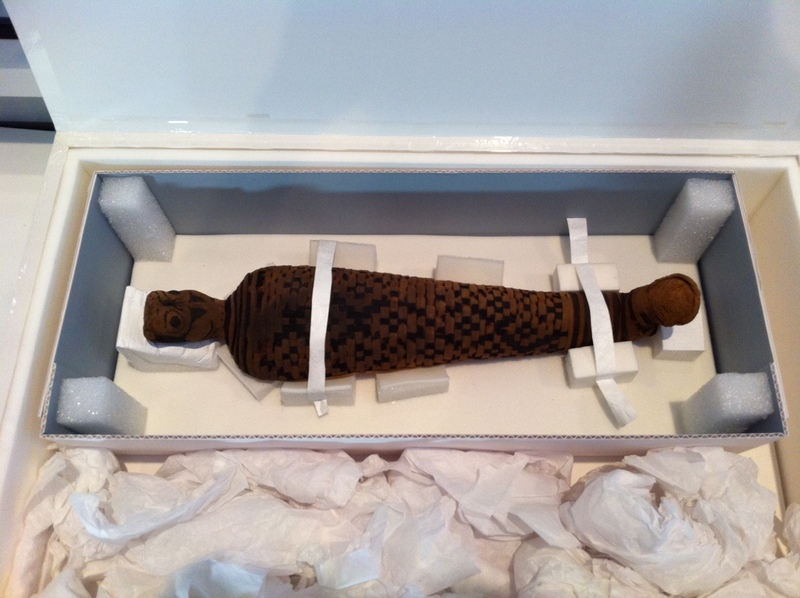 Fortunately, the Penn Museum has some inlaid eyes in storage, allowing us to figure out more clearly what we have on the heads. 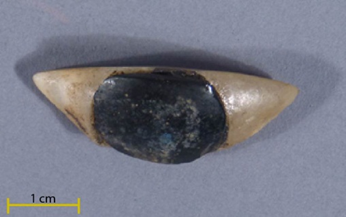 The eye n.E6789B – Limestone and obsidian. 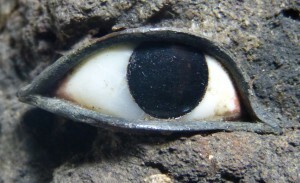 Back of the eye n.E12905A – Copper alloy. Again, fortunately for us (yes, fortunately! 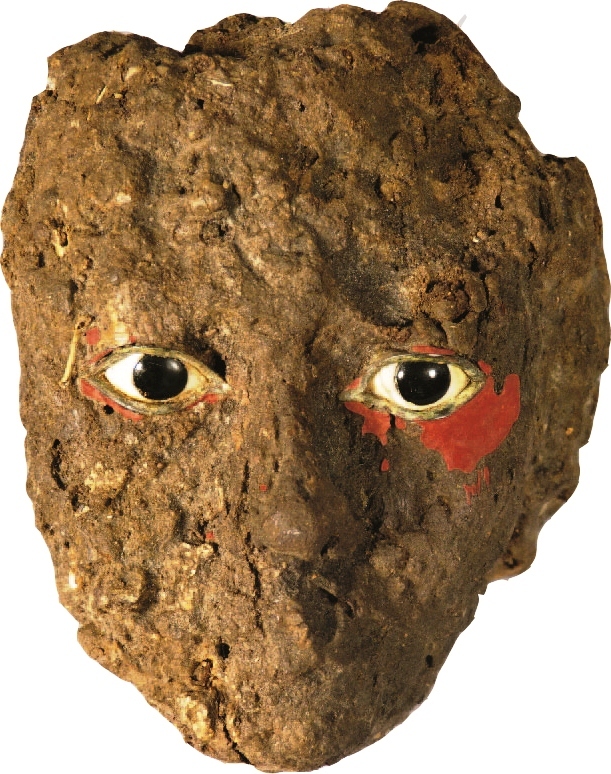 ), the Louvre Museum has a very interesting statue, also from the Old Kingdom, with missing eyes. This statue of a nobleman named Tcheti informs us on how the inlaid eyes were inserted into the wood. 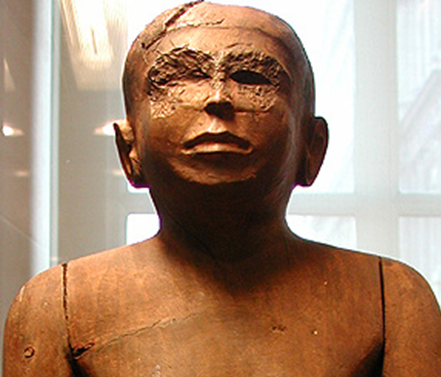 Tcheti statue, Louvre Museum n.E11566 – Detail of the missing eyes. We can see that a hole was cut in the wood, fitting the eyes’ size. 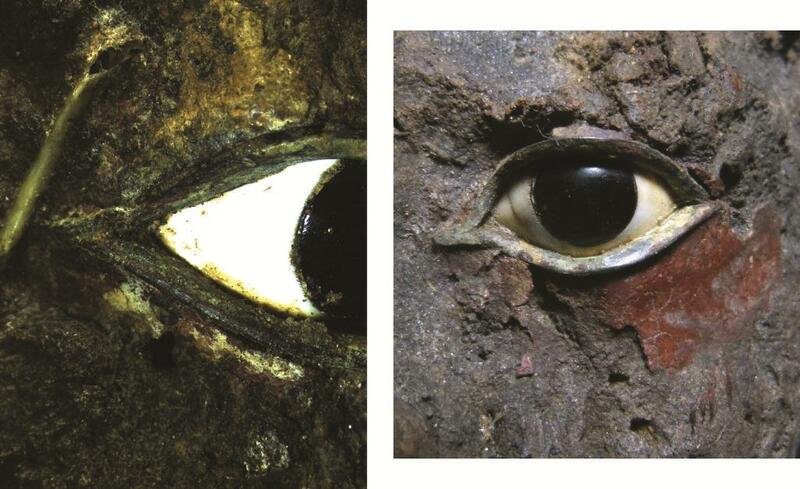 We can suppose that an adhesive was used to prevent the eyes from falling off the statue. As you can see, a conservation intervention, apart from treating the objects, can also allow us to study them more closely and to know them better. We will talk about the CT-scan in a next post and, in the meantime, you’re more than welcome to visit us at the Lab or to post a comment below !